For about the first 75% of my life, I was a pretty avid golfer. I was lucky enough to grow up in a family that belonged to a Country Club. My summers were spent on the golf course with my friends. Amazingly, I never got very good at this game. But it became a staple of my life and an outlet for social activity well into my adult years. Even after I started adding responsibilities to my plate, I was still able to set aside 4-5 hours at a time. It is amazing now to think I had time to wander around some fairways, drink beer and swing at a little white ball. Then, my wife and I decided to have a baby and 9 months later, I was about to be a new dad. 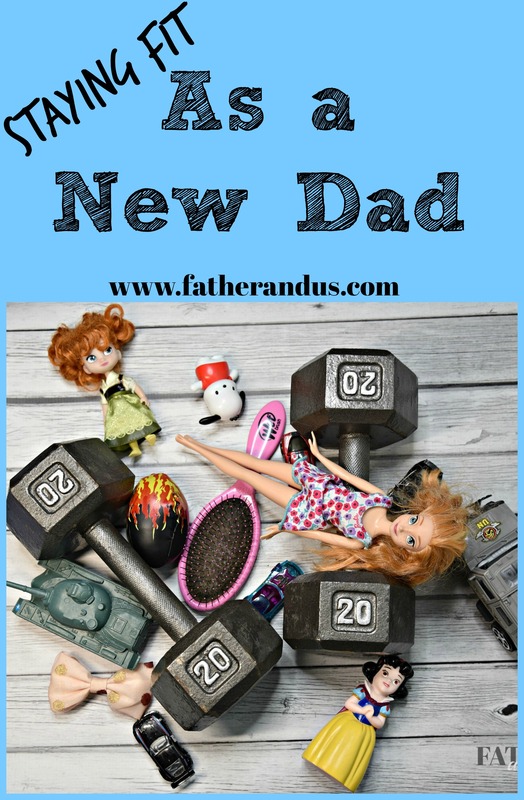 I knew that becoming a new dad would mean a lot of changes in my life. Some of these changes I saw coming, some I didn’t. One thing I absolutely knew would change was golf. I still remember playing my last round of golf about 9 years ago, just one week before my son was born. I knew that this would be it. Although golf played an large enough role in my life, I never really enjoyed it that much. There were a plenty or other important things to me that I knew I was in jeopardy of losing. For instance, I loved to play music in bands. I saw first hand many bands that had been broken up with the introduction of a child. The other thing was exercising. I was terrified of having kids and growing a beer belly and becoming just another middle-aged man. I vowed, that even after kids, I would make sure that I stayed in shape. But something had to go…. so… goodbye golf. Of course, finding time to workout was a lot harder than I thought. This was certainly true once my son had arrived but especially true a couple years later when my beautiful daughter showed up. But still, I made it a point to get to the gym. In the 9 years, I have been a father, I’ve learned a couple tricks to stay motivated with keeping fit and healthy as a dad. So, you are a new dad. Your whole life has been turned upside down, right? Well, honestly, that wasn’t the case for me. I don’t remember a feeling of just being thrown into the deep end of a pool and fighting not to drown. We had a great hospital and great nurses to get us off on the right foot. Once we brought my little man home, we had plenty of family to help us in those first few weeks. When my wife and I were finally alone with our child, we felt totally ready to take on this new world. Sure, there were some rough nights (although our son really was a pretty good sleeper). I think it is a testament to the relationship between my wife and I that our “extracurricular” activities didn’t change too much. We made sure to give each other the space and opportunities to do the “me” things. I didn’t have to quit any bands and we actually JOINED a gym shortly after our son was born. So my first tip, I guess, is to make sure you marry someone who is supportive of your interests outside your family. It is so important that my wife be able to do her OWN thing, whatever that is. I have known a lot of married men where it is a negotiation every time they want to leave the house. Make sure your wife knows that getting/staying in shape is important to you and your health. If she doesn’t buy into it, it will be really hard to keep it going. My wife knew that playing music and going to the gym were things that were important to me. She supported that. In turn, I make sure to give her time to do the things she wants to do that the kids and I don’t always fit into. I think it is a testament to the relationship between my wife and I that our “extracurricular” activities didn’t change too much. We made sure to give each other the space and opportunities to do the “me” things. I didn’t have to quit any bands and we actually JOINED a gym shortly after our son was born. Do you need to actually join a gym? Yes. I think you should. Your specific situation may be different than mine. I live in a Midwest city where my gym is literally a 45 second drive/5 minute run/3 minute bike ride away. I don’t have to take a subway anywhere, etc. So if the logistics make sense, I think you should join a gym. I believe that is it like that advice that if you are doing a job interview over the phone, you should still dress up for it. I think the action of actually going to a gym and being surrounded by all that equipment and other people working out, you will be more motivated. Also, obviously, there will be a lot less distraction. You will get more work done in a shorter time and won’t be tempted to quit early. I find my time at the gym to be very good for my mental health as well. There are no coworkers pestering me, no kids wanting something. It is just me and my music, my podcast or my thoughts. We have a sauna in my gym and I make it a point to never bring my phone in there. I sit for 10-15 minutes with my eyes closed in silence and just reflect on things. This, I believe, is just a healthy as anything weights I would be lifting. I, unfortunately, don’t have a sauna in my home. So.. to the gym it is! Have some small workout equipment at home. This is true even if you belong to a gym. I have set of dumbbells, a mat, a medicine ball and an exercise band. So, if for some reason I didn’t get to the gym. I can still get in a 10-15 minute workout. Treat working out just like any other chore that you need to do. Just like doing the dishes or paying the bills or mowing the lawn. Make working out “non-negotiable”, something that must be done. If you treat it as something you “try to find time to do” you will frequently fail to find time to do it. Trust me. My wife likes to go to her workout classes because they are a set time and day, and it makes her feel obligated to go. That works for her and she says that she wouldn’t go to the gym nearly as much if she just did it on her own volition. As you get older, a lot of “the work” happens in the kitchen. Right around 28, my metabolism screeched to a halt. When I was 21 years old, I could eat a ton of pizza and beer and still have a six pack. One day in my late 20’s, I turned around and had gained about 40 pounds. I needed to make a decision right then and there about how I was going to treat my body going forward. I have found a balance that works for me where I can still eat some fun stuff. On Monday-Friday, I generally eat strict Paleo diet. No dairy, no carbs, no alcohol and no sugar. Then on Friday night-Sunday night, I loosen things up a bit. This Monday-Friday diet really isn’t that hard. There are a ton of great Paleo recipes and Whole 30 recipes that are super yummy. But you have to realize you can no longer just eat whatever you want. Those days are probably over for you. Have a weight that you are comfortable with. For me, it is 160 pounds. That is the weight that I feel ok with how I look in the mirror and my clothes seem to fit well. I know that once I get up around 165, everything gets a bit tighter and I don’t feel as comfortable with my body. Some people don’t like to use a scale and say that as long as they like what is looking back at them in the mirror, they are happy. I think this is great. But for me, I like some actual empirical, measurable evidence. As far as the actually exercises that you do, I won’t even get into that here. That isn’t the point of this blog post. I honestly feel that getting your heart rate up for 20 minutes is a win in my book. There are a ton of great resources out there to help you with that part. 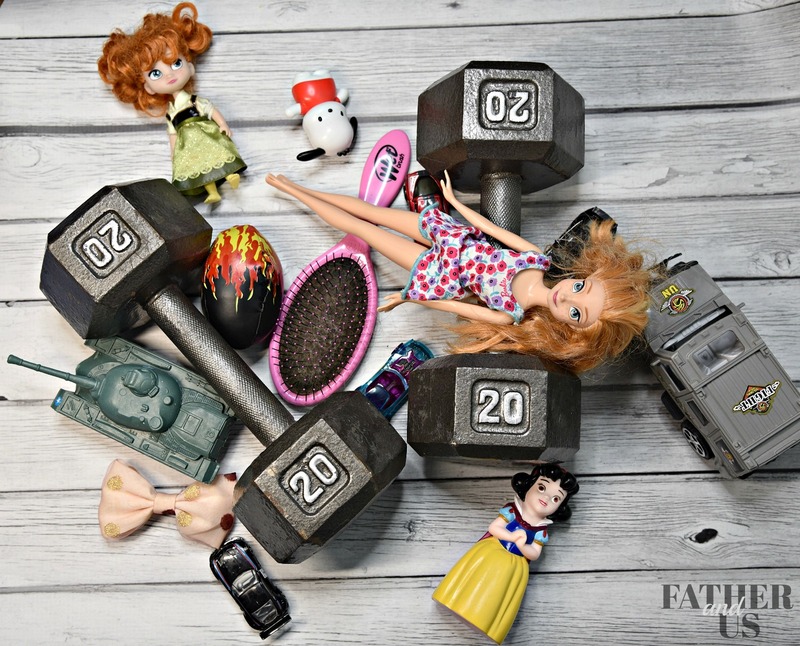 What I want to instill in you with this article is the motivation to recognize that you deserve to treat your body well. You will need it for a while longer! Just because you are married with kids doesn’t mean you have give up a healthy and fit lifestyle. So give your daughter a kiss, hug your wife, and then head to the gym for an hour or two!